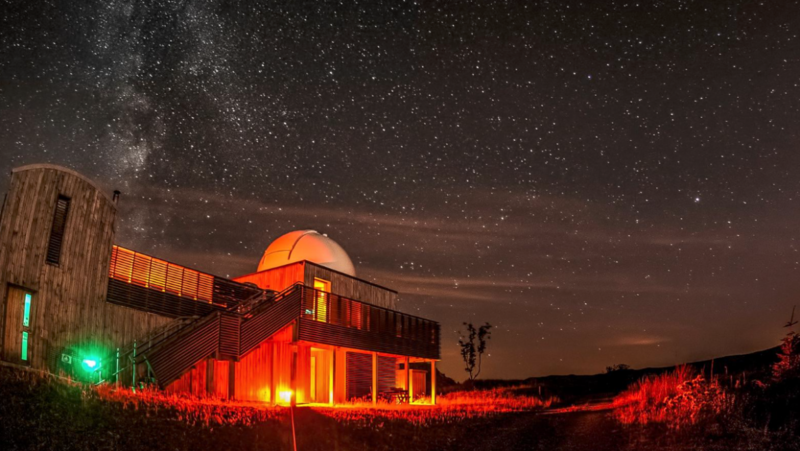 The Scottish Dark Sky Observatory is located near Dalmellington, East Ayrshire, on the northern edge of the Galloway Forest Dark Sky Park. 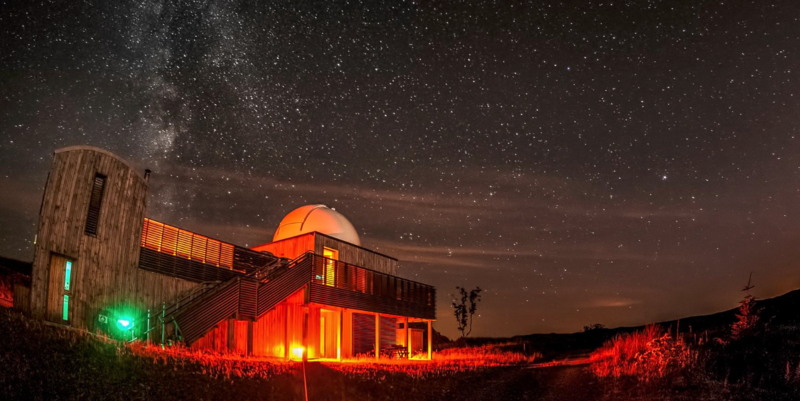 It is one of only two publicly accessible research-grade astronomical observatories in the world to be located within an International Dark-Sky Association designated ‘gold tier’ Dark Sky Park, making it unique in Scotland. The Observatory was formally opened on 4 October 2012, became fully operational in January 2013 and, for the last two years, has been attracting steadily increasing visitor numbers, offering a variety of public events and activities promoted via our website, Facebook presence and in association with VisitScotland (the Observatory is rated as a 4 star visitor attraction). 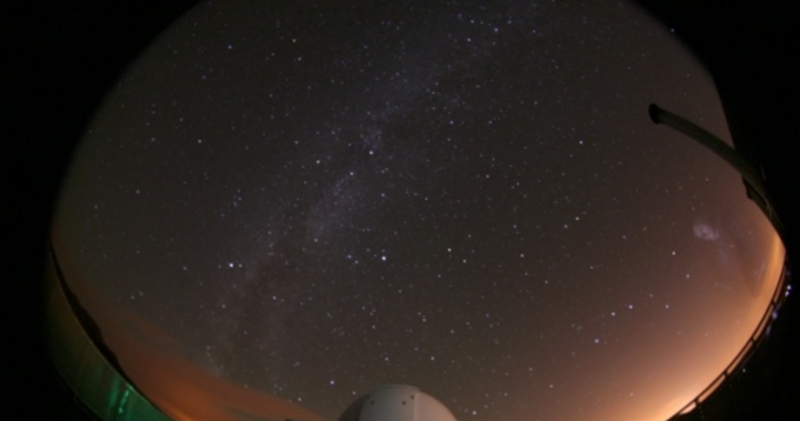 The Observatory is open to everyone – the public, amateur and professional astronomers, youth groups, organisations, clubs, schools and universities – and aims to inspire people of all ages and backgrounds with an appreciation and understanding of the beauty and wonder of the universe. 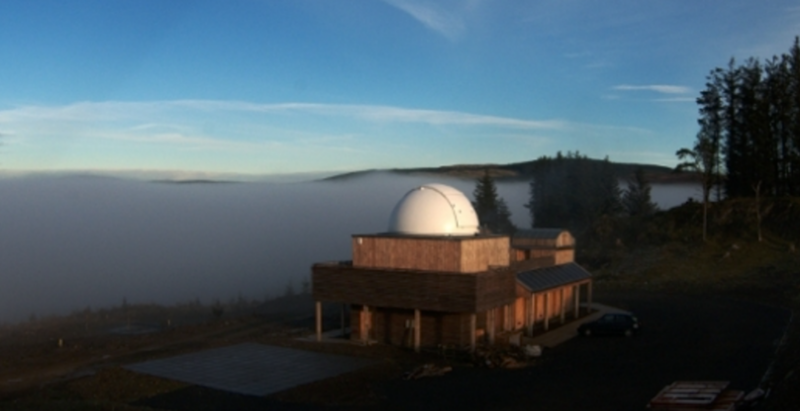 A registered Scottish Charity (No: SC042329), the Observatory aims to benefit the enhancement of science, education, the arts and the environment, complementing the Galloway Forest Dark Sky Park project and supporting the improvement and regeneration of the Doon Valley in East Ayrshire. 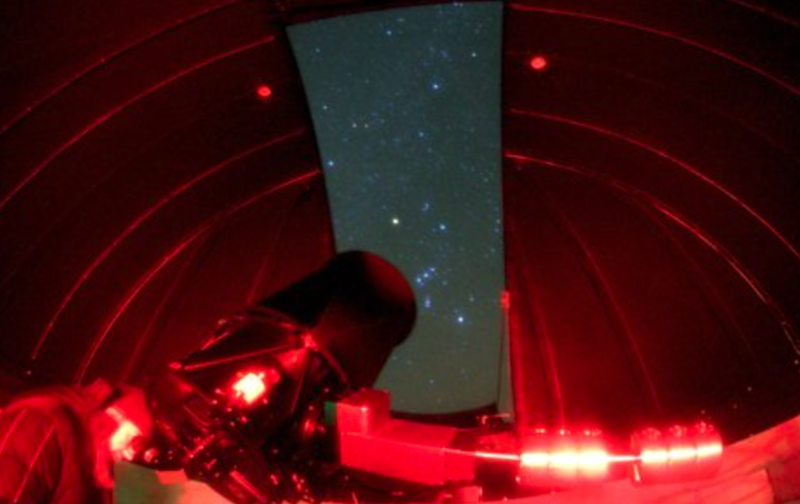 The Observatory is becoming Scotland’s premier centre for the study and enjoyment of astronomy and its related sciences, accessible for research, training, educational and leisure activities to all sectors of the community. It is delivering its vision, bringing inspiration, pride and new hope to a formerly neglected part of Britain. Science is important in terms of our heritage and culture. Astronomy, as a science in itself, links into core subjects such as physics, chemistry, biology, mathematics, history, geology and the Arts. By inspiring children and young people to take interest in the wonders of the cosmos, our belief is that they will develop an increased interest in those related subjects, which can only be a positive progression. 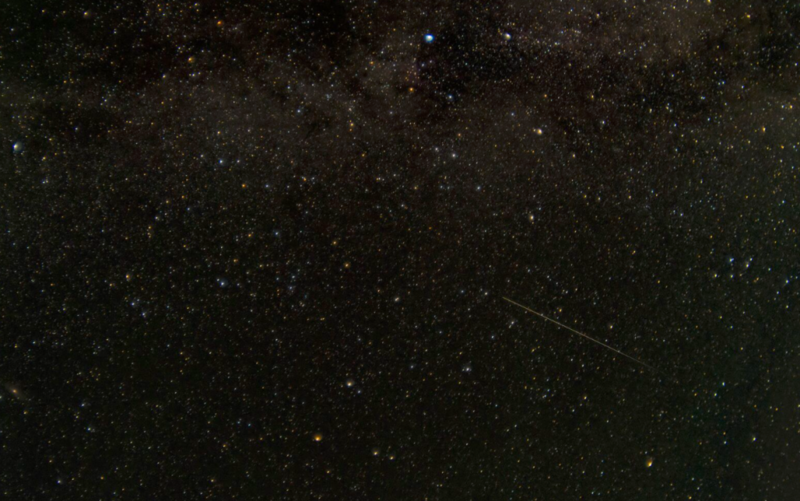 It is important, too, to encourage people of all ages to develop an interest in and an appreciation of the importance of protecting our dark skies and our natural environment for future generations to enjoy. The SPERO promotes multi-disciplinary research, bringing together geologists, chemists, planetary scientists, engineers, astrobiologists, physicists and mathematicians to address three cross cutting themes in planetary science.